This app and website offers users who’ve found a lost pet a place to post pictures, add a description and location of the found dog or cat, and a way for the pet owner to reach the finder. 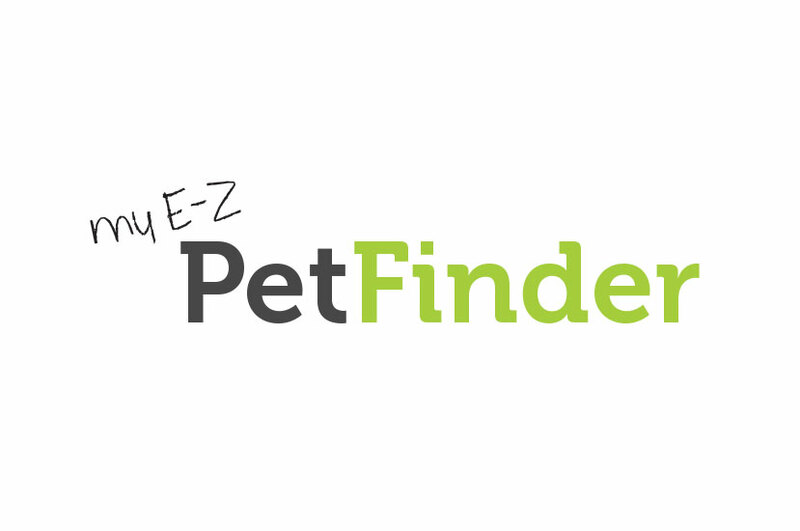 The My E-Z Pet Finder logo was designed to be whimsical, offering a relaxed, calming image for an otherwise stressful situation. We wanted to make something to communicate that reconnected with a pet or reconnected a pet with their owner should be a pleasant experience. The chalk-like typography adds nice contrast with the bold sans-serif typeface used for the main part of the title. A bright green color makes this app logo pop off the screen and catch the eye of someone scrolling through the app store.